You decided your feet should make part of your fangirling? 1. Choose the styling. 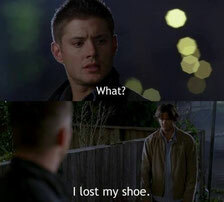 Sam and Dean? 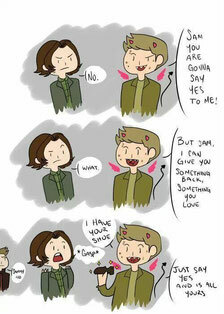 Dean and Cas? Signs only? Or do you prefer other characters (secret Crowley fan talking! )....just email me....we´ll find the perfect design for you! 2. 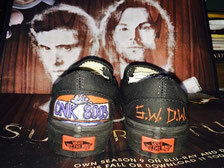 You want painted shoes - but no SPN design? OK! Just email me and tell me what the design of your choice would be....I´ll be happy to paint it! 3. The shoes: I use canvas shoes, Vans mostly as they are available in all sizes at all times and show satisfying quality. I do try to find cheaper versions tho for all of you who have to turn every penny twice...just send me an email and we´ll talk about your options! The use of a protective spray can help you keep the colors fresh and clean for a long time. 5. 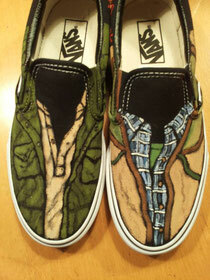 Payment: I start to paint your individual shoe design as soon as I have the payment confirmed. The price contains shoes, paint, packaging, shipment...and my work of course. It can differ according to size, season, special sales occasions...but be assured I´ll always try to get the best price for you! 6. Shipment: your Supernatural Shoes will come to you as a parcel, transported by Österreichische Post AG. The price includes insurance (loss or damage). Shipment will take from 5 to 12 days usually. 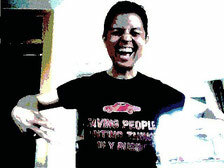 Please understand I cannot influence the velocity or quality of transportation! Let me assure you tho that my experiences so far have been delightfully positive! For special shipment (priority f.e.) contact me via email please. All of you who live nearby and don´t need shipment: the price will be off 20 €! 7. For all unanswered questions, please feel free to contact me at any time! 8. I´d be happy to find your post or pic (or both, YAY!) on my homepage! Pics of you and your shoes are especially welcome!